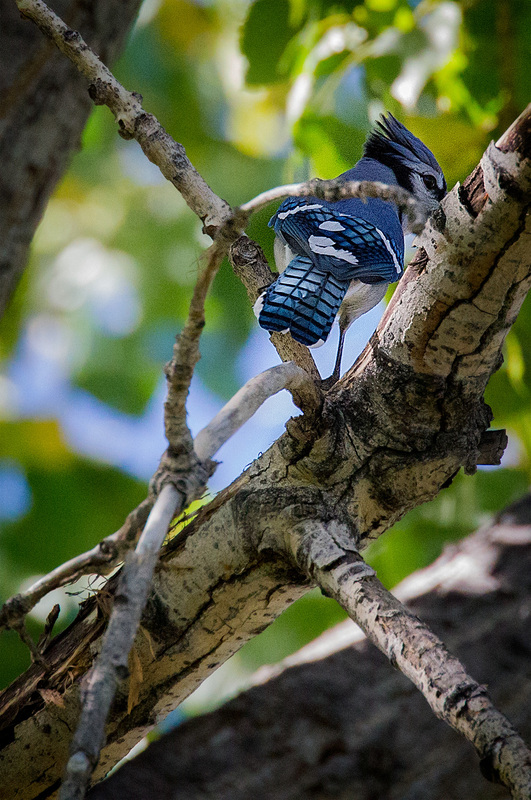 I thought I’d seen blue jays galore in my life, but never this kind of white-tinged bluer-than-blue Blue Jay. 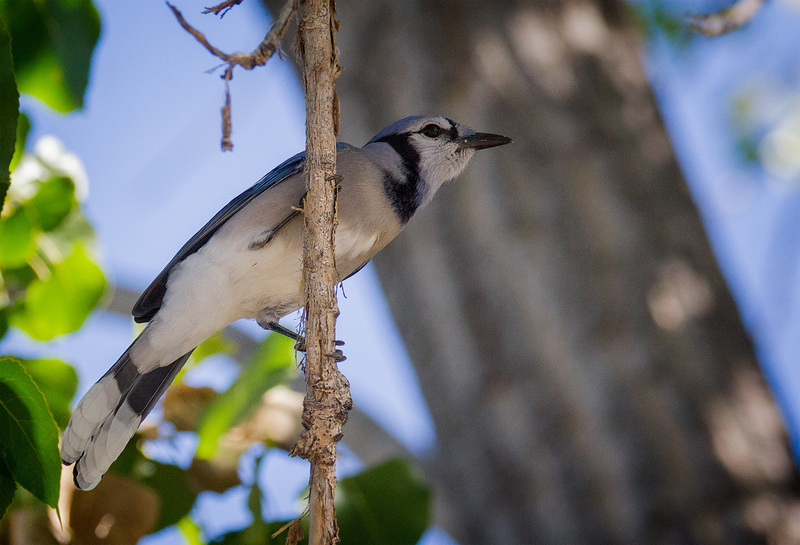 A close cousin, I can only assume, to the ubiquitous jays that cause such a racket and regularly drive smaller birds off my feeders here in NorCal, yes? I think you see both the Scrub Jay and the Stellar Jay where you live, though more of the Scrub Jay. Here in the Pacific Northwest we see more of the Stellar Jay (which was called a “Blue Jay” locally when I was growing up). 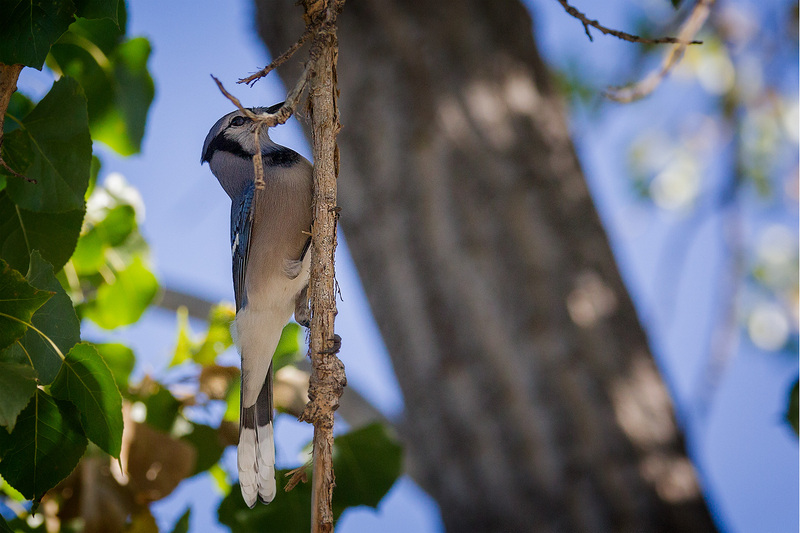 I grew up with Blue Jays, and never thought much about them, other than once being attacked by one – why, I’m not sure, I was about 10 and don’t remember being close to a tree where there might have been a nest. Other than that, I took them for granted. 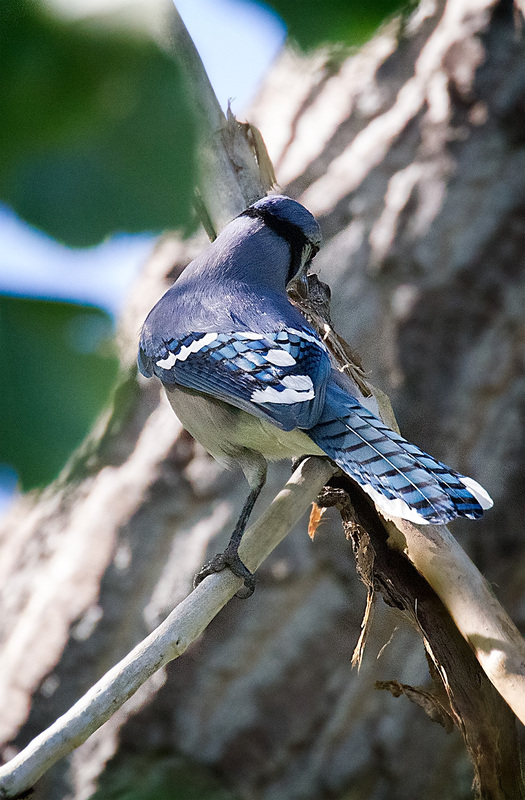 Then a few years ago, I began to hear reports of increased mortality due toe West Nile Disease, and realized I was seeing fewer Blue Jays. That’s when I began noticing the ones I did see, and appreciating them for the beautiful birds they are. I’m happy to say that they seem to have recovered here, and I see them all the time. And I don’t take them for granted any longer. I’m afraid all of us, me included, have that tendency, Harry. 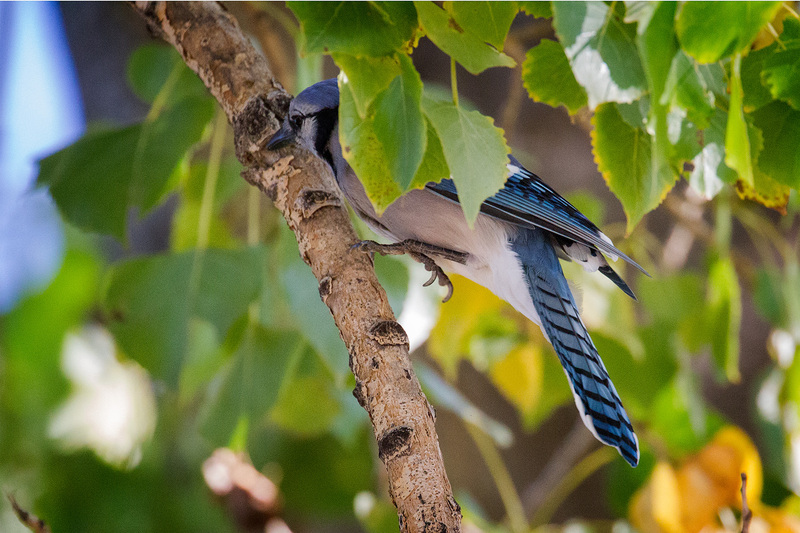 I took Stellar Jays for granted and thought they were a Blue Jay until I noticed that they were much rarer in other parts of the country.